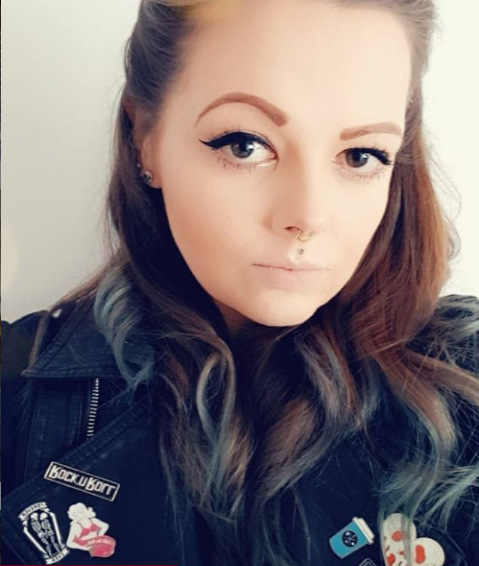 As you know I've been on a bit of a mission for pink hair and my attempt with Bleach Londons Crayon was a complete and utter failure! 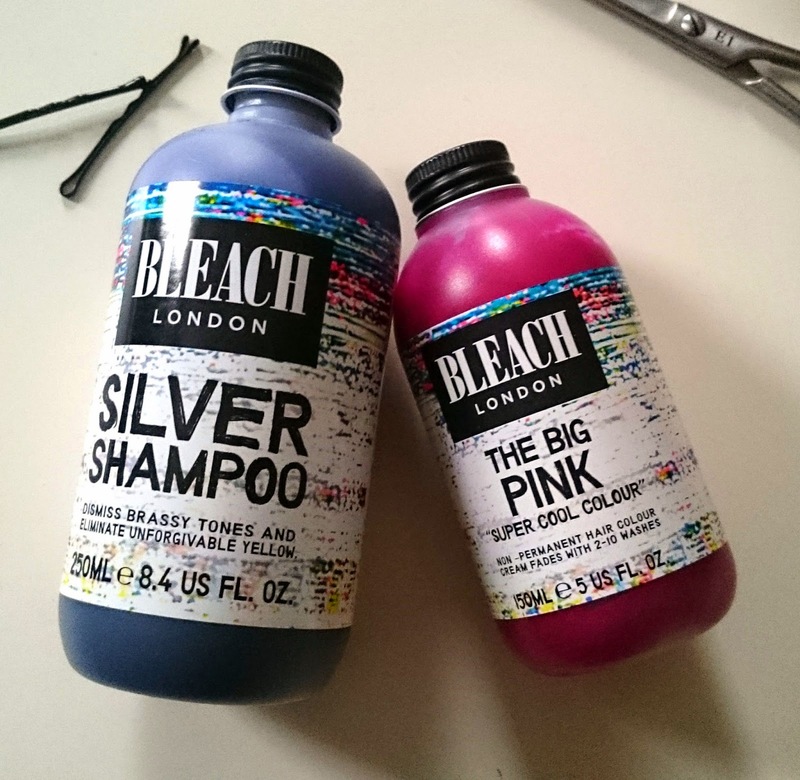 So I took the plunge and purchased their semi permanent Big Pink color and their Silver Shampoo. I got these on offer in boots, I think it was 3 for £10 so I brought the semi perm, silver shampoo and a different brands hair mask. I'll start with the Big Pink as yet again I wasn't that impressed with it! 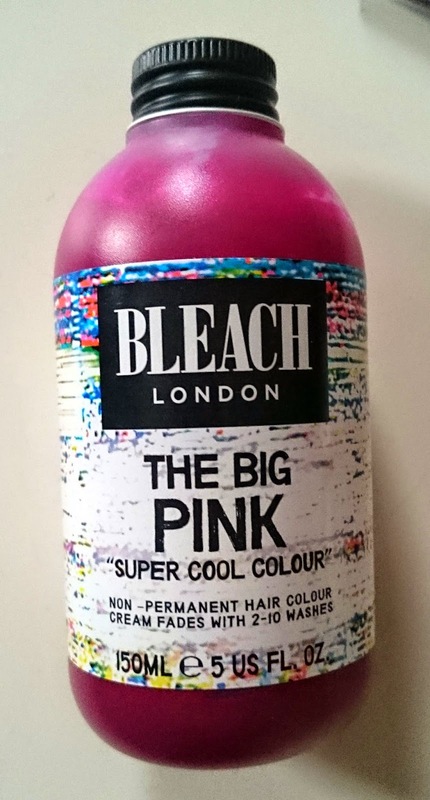 I googled the images and saw people with gorgeously pink hair and got rather excited. 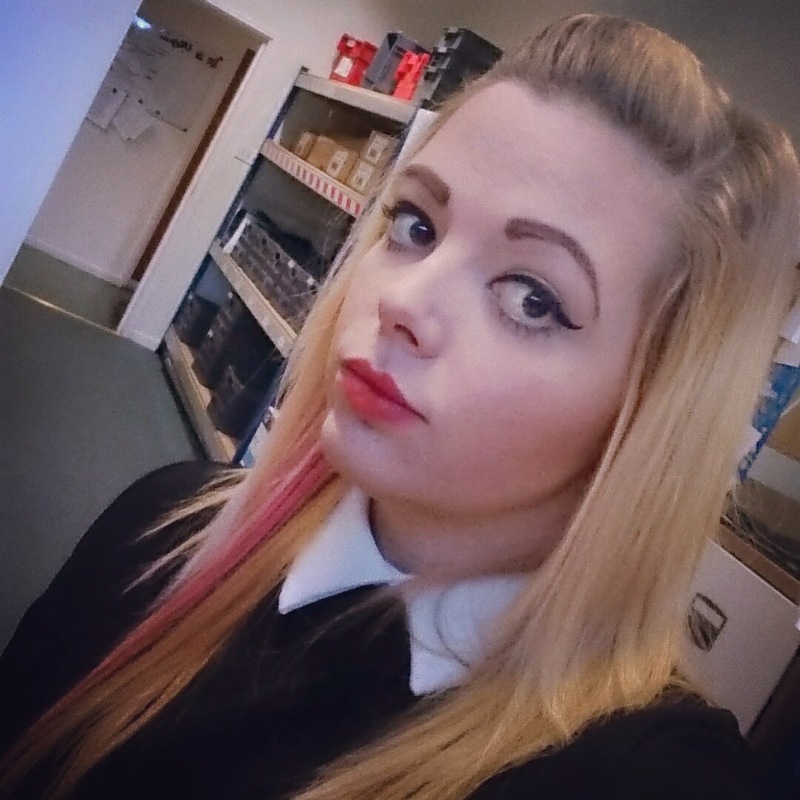 I am a qualified hairdresser and my hair is pretty light, so I was looking forward to a rather bright pink streak! 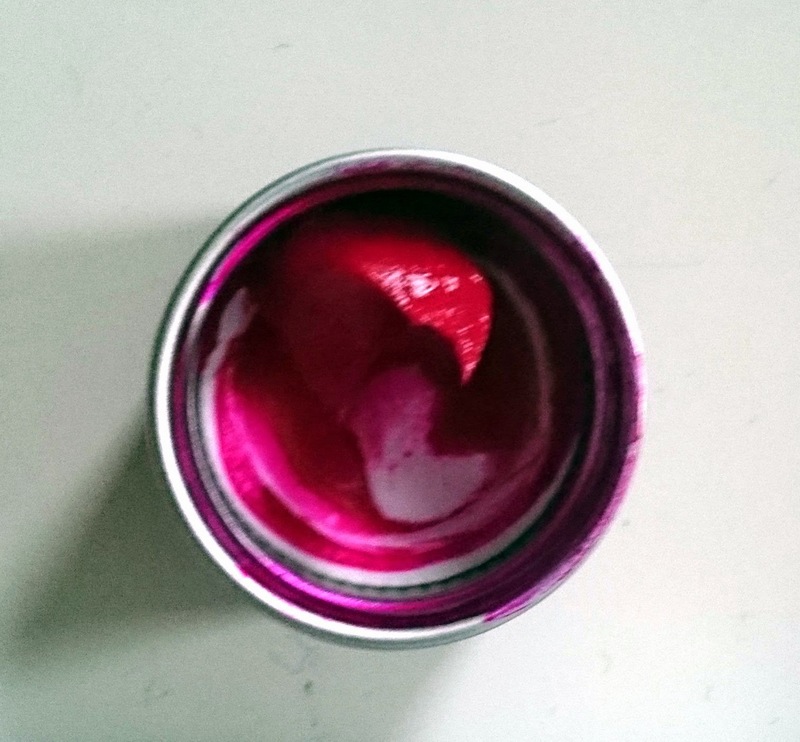 The product itself is a very deep pink colour and has a very thick consistancy, which I personally did like as it meant I didn't drip it everywhere and a little went a long way. You literally plonk it on your hair and leave it for 15 mins and wash it off. The bottle says it lasts for between 2 - 10 washes. Now depending on the quality of your hair (if it's color treated/in good condition etc) this varies from person to person. My hair is bleached so I expected it to last closer to the 10 washes. Well, it certainly has lasted longer than 10 washes as my hair is now an odd orange color I'm going to have to bleach to get rid of. The actual 'pink' itself only lasted about two - three washes and to be honest was much more red than it was pink. As you can see from the pic above, it really wasn't a very nice colour considering how light my hair is. I won't be using it again and will in future just use my old faithful Directions by La Riche! Now the silver shampoo is a totally new ball game! I suppose because it helps get rid of brassy tones very subtly I didn't notice the difference but I've had comments from a few people that my hair is looking lighter and whiter. Winning! 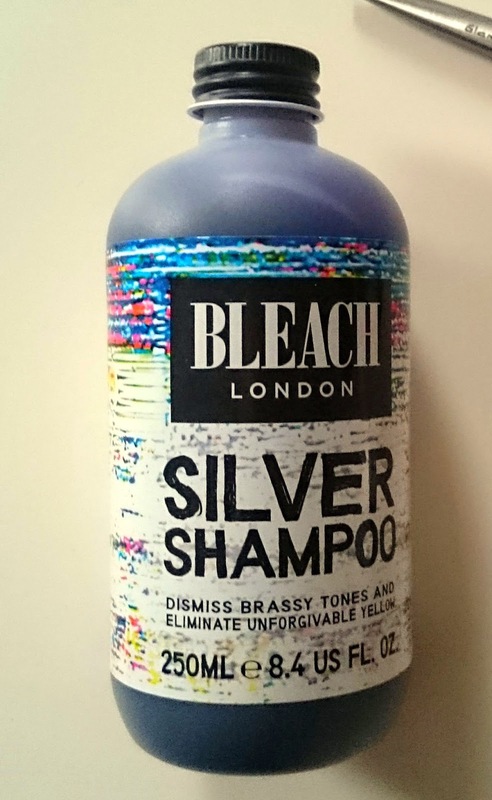 Don't get me wrong, it isn't really that different to other brightening shampoos I've used apart from the fact this one is blue I'm used to a more purple tone! The shampoo itself is very thick and alarmingly blue, I was slightly worried at first that I was going to get out the shower and have completely blue hair but obviously that wasn't the case! A little goes along way and I've used it for about a month now with still a lot of product left! 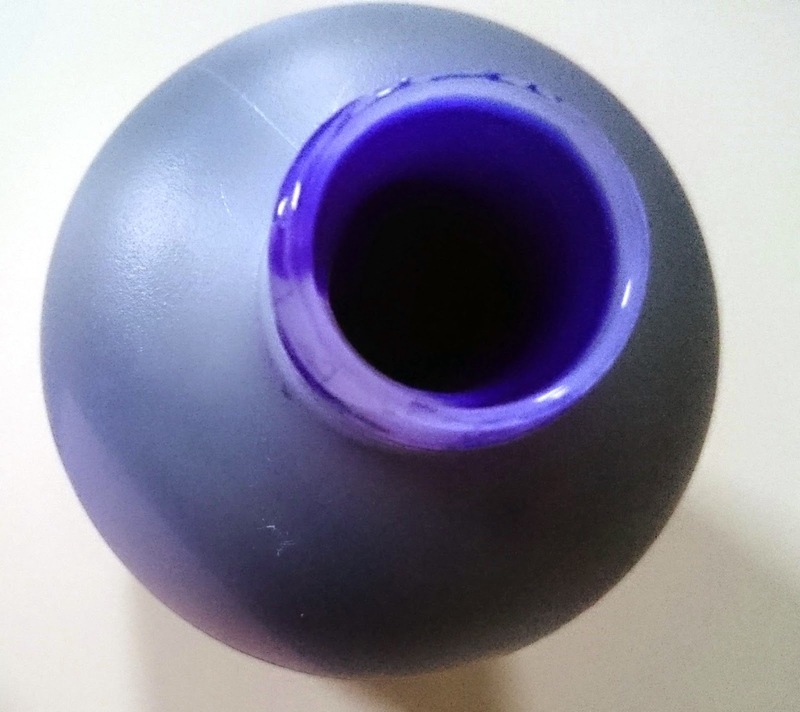 The bottle does suggest that you used it every other wash, which is what I've been doing. 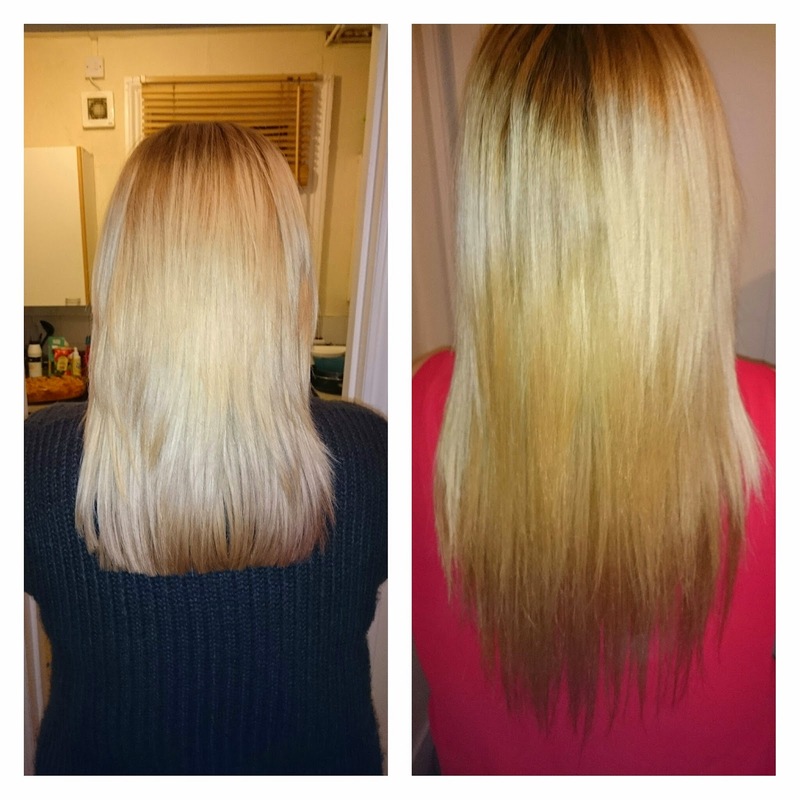 All in all this is a product from Bleach London I am impressed with and probably will repurchase! Finally, I've had the same haircut since I was about 16 and this week it all changed. I was utterly terrified and although I didn't actually have that much cut off, I'm currently feeling bald haha! However I'm loving it and actually tempted to get it cut shorter when I go back in a few months for a trim!